Supreme Court Justice Antonin Scalia spoke in October 2011 during a forum at the Newseum in Washington. WHAT WOULD ANTONIN Scalia think about how his seat on the court should be filled now? Ever the originalist, the late Supreme Court justice, who was found dead at a resort in Texas on Saturday after serving 29 years as the eloquent lodestar of the court’s conservative wing, was a leading exponent of the idea that the words of the Constitution are meant to be taken literally. And the Constitution says the president will nominate justices to fill openings on the court — not that he will do so only in odd-numbered years, or only at the beginning of his term, or only when Ted Cruz thinks he should. So it’s an odd way to pay homage to Scalia that Cruz, Marco Rubio, and Senate Majority Leader Mitch McConnell called on President Obama not to nominate a replacement for Scalia. Instead, they are urging him to leave that task to his successor, which they hope will be a Republican. There is no legitimate reason for Obama to wait or for the Senate to refuse to consider his nominee. And one doesn’t need to share Scalia’s originalism to object to such an unusual demand, which threatens to weaken the court’s independence in the American political system. Leaving the seat vacant would, as a practical matter, risk a full year of paralysis on the nation’s highest court, making it harder for the court to decide cases; expect a lot of 4-4 ties if the seat stays empty. But the far bigger threat is to the court’s own standing. It has sometimes been hard, in recent years, to view the court as nonpartisan, but putting a quota on the number of justices Obama may nominate would effectively finish off the idea that the court isn’t a political organ. One predictable objection is that an Obama appointment would change the ideological makeup of the court, moving it leftward — which, of course, is probably true. But there’s no “right” lineup that the court should be expected to maintain. Some presidents appoint many justices, some appoint none. It’s arbitrary — and so is the current composition of the court, shaped, as it always has been, by fate and chance that determines when openings occur. Most Democrats, of course, want Obama to nominate a replacement just as badly as some Republicans don’t. Harry Reid has already said as much, urging Obama to quickly pick a nominee. But his views may easily be brushed off as partisan. The voice that really needs to be heard is that of Chief Justice John Roberts, who as a constitutional officer is responsible for leading the judiciary. The GOP’s demand, if met, would constitute court-packing in reverse. For the court’s own sake, it cannot be allowed. 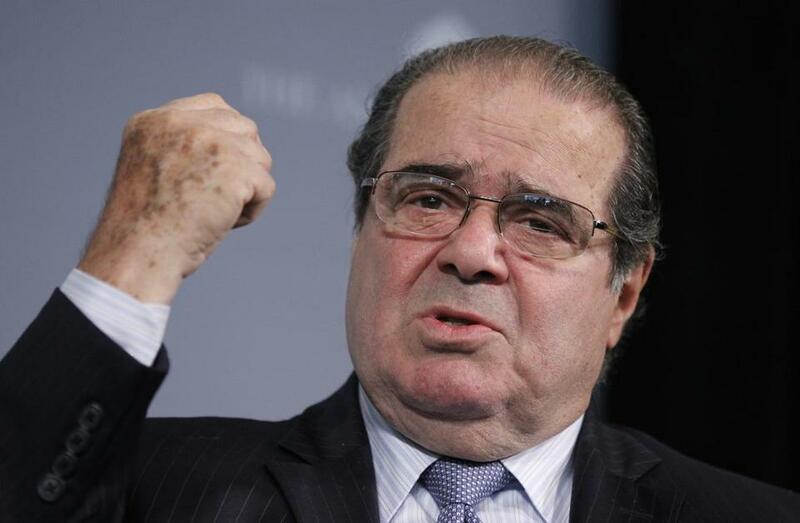 Evan Horowitz: What does Scalia's death mean for court, politics?